The house is located right at the gondola for the Courmayeur ski area, however I did not find that area very challenging and went every day to Chamonix. To get to Chamonix requires you to travel through a tunnel which costs about $75 round trip. Expensive but it is well worth the effort. We enjoyed our stay at this quaint house and the skiing at Chamonix was great. One can walk to a great gym and the town from the house. I would note that we had no hot water from Saturday, when we arrived to Tuesday morning. The landlord worked very hard to have a new boiler installed ASAP (unfortunately the on/off switch was inadvertently turned off Monday nite by the custodian otherwise we might have had hot water already on Monday nite). I asked the landlord to pro-rate those nights and she offered to return 1/2 of one nights stay which came to about $150 on a $2000/week stay. She was unhappy with my request and I thought better of it as perhaps this is something American's expect, not those from other countries, and so I rescinded my request. Please note that the third bedroom is approximately 8ft x 5 ft. She has a bunk bed in there so very little room for anything else. Lovely little place. Excellent location. Courmayeur is my new favourite! You are very welcome back to your new favourite..! 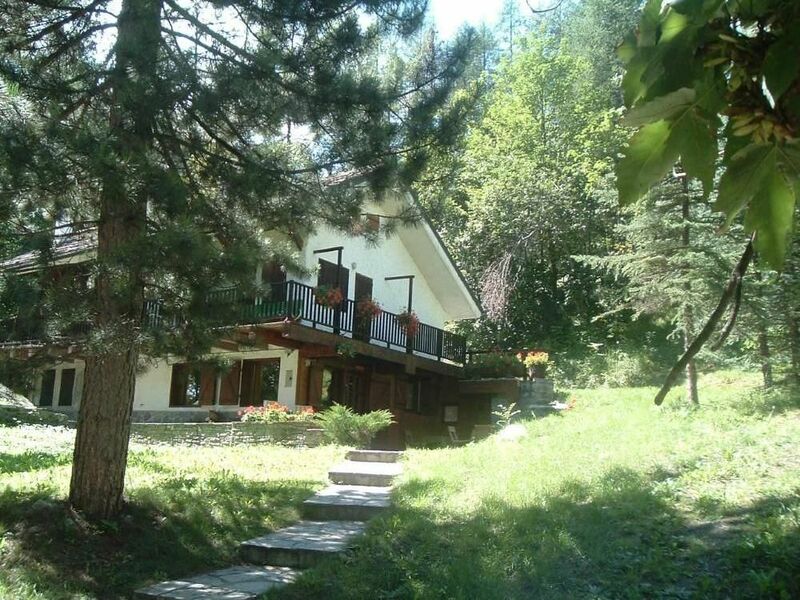 This was a perfect home for my family of 5 during our stay in Courmayeur. Lucia’s communication was great from the beginning and even followed up after we checked in to house. Nice and quiet, but only 2 minutes from town. Would definitely stay here again. Thanks. Dear Kevin,It has been a pleasure having you and your family in my home. Excellent location and beautiful surroundings. A very cosy house with adequate facilities and space for 6 people. So close to the gondola - made skiing with kids and dream. Hope to have you all again! Charming, warm, rustic, homely chalet. 1min walk from lift. Chris and friends are very Nice guests, super skiers and great to talk to! I am glad they enjoyed their holiday and I Will be very happy to host them again !! Perfect location for our family ski holiday in Courmayeur. Warm and cozy chalet with a wood pellet fire heater. Lucia provided everything you need in this home which made cooking easy and relaxing for us. Our teenage daughters loved their space in the loft, but you need youth and agility to climb up there! Lucia gracefully accommodated our late arrival and was so helpful and kind during our stay. A pleasure to deal with such a nice person. It was a real pleasure having you in my home and I am so very happy that you enjoyed your holiday. If ever you decide to come back to ski in the Alps you are very welcome back ! !